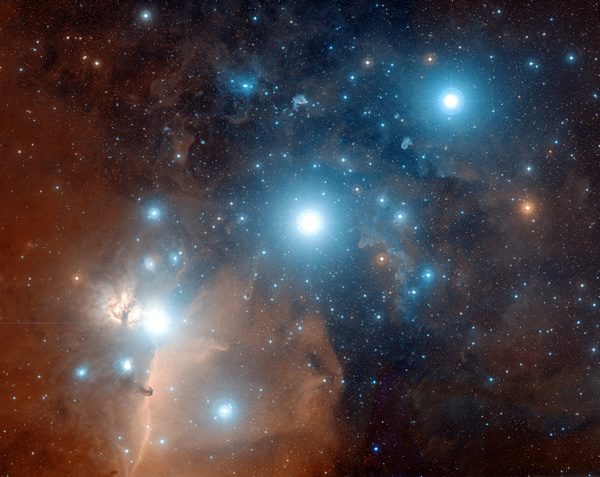 Alnitak (Zeta Orionis) is one of the three stars that make up the "Belt of Orion." 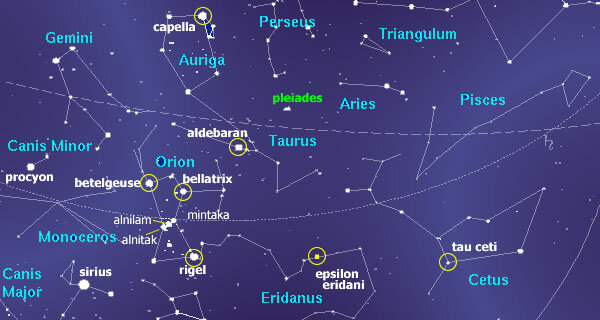 In the Northern hemisphere, it is usually seen as the bottom star. Alnitak actually is a triple star system: one blue supergiant (Alnitak Aa), which has two bluish companions (Alnitak Ab and Alnitak B). Alnitak Aa and Ab form a close binary, which together are a distant binary to Alnitak B. Alnitak B orbits Alnitak A every 1500 years. The existence of a fourth star, Alnitak C, is suspected but has thus far not been confirmed. Alnitak lies at a distance of approximately 736 light years. Robert Bauval was the first to point out that the Great Pyramid in Gizeh appears to be a representation of Alnitak. Since then a number of authors, including South African author Wayne Herschell have discovered that a number of ancient monuments are set up in a way that mimics Orion's Belt. According to Solara, the 'galactic' name for this star is RA. For more information on its role and influence upon Earth, see RA. This topic was copied from the HyperBase, and has been partly revised.